This is one way to tell the difference between Chinook and Coho. Usually you can tell the difference before you have them in the boat by the way they fight. They call me"The Fish Whisperer"
I prefer to open them up and count pyloric caeca myself that's a sure fire way to tell them apart. If it's under 100 it's a coho. It just gets a little tricky on the release. But in seriousness, the color of the mouth as a whole can be misleading. The proper question to ask is what's the color of the tissue where the teeth erupt from the jaw? If it's black it's a chinook, white coho. Spotting is more of a generalization. I've seen coho with some spots on the bottom half of the tail. Fish need to floss too! Im glad to see these threads because where I spend most of my river time, there is only seasons on chinook and steelhead. But lately I have seen and heard of quite a few silvers being caught, and I have bonked one that was questionable. We are allowed to keep silvers wild or hatch, but its still good to know what your looking at. Thanks, Drifter. Coho fight like they're in a washing machine, twist, twist, twist. I can tell the differences visually but also ...chinook have a pretty distinctive strong smell. They stink...coho not so much. Shape of the spots on the back. Lots of subtle variations on size shape and location of spots. The definitive criterion that will be used to enforce the identity of the fish is the gumline. Nothing else counts. Look a the color of the gumline.... as the poster above said, particularly the tissue where the teeth erupt. If it's light (light grey or white).... it will be enforced as coho. If it's dark (graphite or black).... it will be enfoced as chinook. 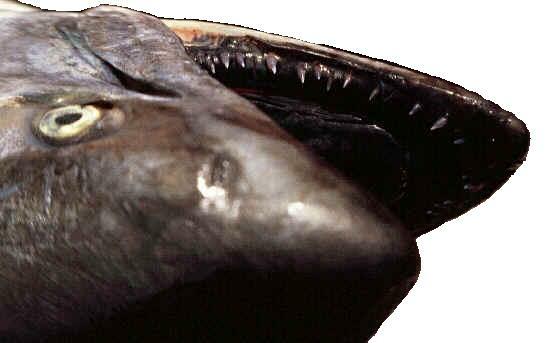 The other most striking feature on the lower jaw of a coho is the distinct alternating dark/light/dark banding along the edge of the mouth. It is unmistakable. Diagram and two photos showing coloration of lower jaw of chinook salmon. These are all Coho. The bigger pic put up quite a thread a few years back. I think this is from Cali. I keep these in my boat, seal in plastic. I can shut down the bite on an entire watershed with my mere presence! Now if you know the purpose of the pyloric caeca, I'll be VERY impressed. While the color of the mouth may seem missleading..........IT'S PRIMARY, as Doc shows below. I've had this debate on the water with other anglers and sorry, but the gumline RULES. All the other sure fire ways of determining species are the truly misleading ones. There are just too many exceptions. That is a great explanation. Thanks for schooling me again! Never new about the banding. I'm gonna start callin you teach. instead of doc! Yea for the "banding" on a Coho, I was always told that it looks like an Oreo cookie in it's mouth, Black white black. There is some overlap though. You can have Chinook with some white and some Coho with alot of black. Classic Coho and Chinook are easy to I.D. It's the ones with this overlap that are hard. When it really comes down to the nitty gritty it's what color is at the base of their teeth, not between the teeth. If it has too much of the wrong color, trust your instinct and just toss him back. that aint no joke, they also jump acrobatically, where as chinook might splash but would rather stay near the bottom. at least in tidewater. I have noticed the mouth color on freshly caught silvers in the Columbia is dark initially but turns white after a while. 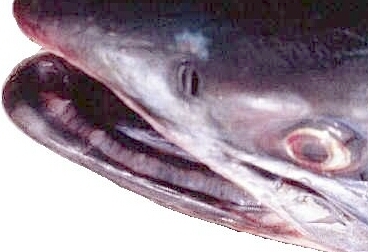 A large coho with a dark mouth is difficult to distinguish from a chinook. I recently caught an 18# Coho that because of its size made me initially think chinook. The mouth was sort of dark but the fish had few and very small spots. It also took a spinner fairly near the surface and faught like a silver. After a discussion with nearby fishermen, I concluded it was a Coho. A half hour later the mouth turned white. I was relieved that my conclusion that it was a Coho was confirmed. Might be true for some fisheries like the Columbia but not all. Some while back I was "forced" to change my activity on the Rogue after watching a couple of dozen 40# chinook jumping in front of me. I watched several fishermen land fish and was able to actually weigh them and the smallest was 38# largest 45#. Many limits (2 nate or hatch) caught in front of me. Is this photo in the ODFW Regs that they say is a Coho actually a Steelhead? I ask because of the white / grey tongue. They second photo is a Cali fish ID posting which makes it a little more confusing. There's a reason they call it fishing and not catching, but I don't have to like the reason! Last edited by Floater; 10-02-2013 at 04:13 PM. Photo on the lower left is 100% coho. Steelhead have an entirely WHITE mouth, no banding. Like stated before for a chinook, gum color black, rigid tail, spots on tail, and chinook don't lose scales like a silver does. The scales give it away for me. Coho seem to lose scales easy. Much easier as they progress up through fresh water it seems. I agree that's the first thing I look for. While all of these ID methods MAY come in handy for folks who have a hard time with this issue, the only that WILL be enforced by the DFW's will be the color of the mouth and the lower gumline. I have been amused at the variety of identification methodology. It made me dig out my old college text book. Pacific Fishes of Canada. It is THE definitive text for "keying" out a fish that you may encounter in our waters. 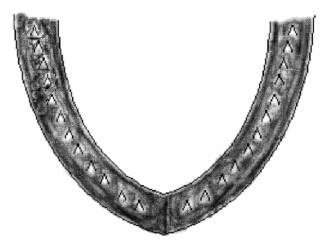 Recognition: recognized by black spotting confined to the back and upper lobe of caudal fin and NO BLACK ALONG THE BASES OF THE TEETH. The teeth are needle like and firmly set. 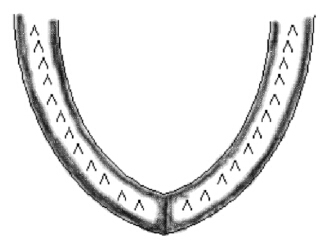 The 19 to 25 rough gill rakers are widely spaced. Pyloric caeca less than 85. Big coho sometimes fight like chinook, so that isn't a surefire way, either. Well, one of them tastes great and is full of fat and oil, the other is mainly for giving to your ex wife or brother in law. So if an ex or an in law is making salmon for dinner, it's probably a coho. Last edited by b ruff; 10-15-2016 at 12:14 AM.